DAVIDSON, NC -- Often the media focus of negative interactions, conflicts, and stories involving police and citizens are lacking information on how things could get better. That is how Get W.O.K.E or Get (W)orking (O)n (K)nowledge and (E)mpowerment was born. Get W.O.K.E. is an initiative working to help build relations between Davidson’s youth and police by providing knowledge and information for encounters with police. The initiative is the brainchild of Carson Pauling, founder of Get W.O.K.E, a junior at Davidson Day School and active in the community. She approached the Davidson Police Department in 2018 with this concept and began work with Chief Penny Dunn to formulate a program. “After seeing all of the negative encounters with police in the media, especially those involving youth, I wanted to do something to help solve this issue,” said Pauling. “My goal for this program is to provide the perspectives of both sides and knowledge on how to properly interact with police.” She believes providing information to youth on how to interact with police can help prevent violence, save lives, and build a stronger relationship between the youth of our community and police. 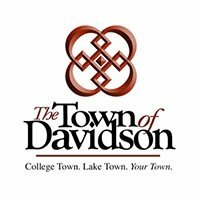 Davidson student residents include several private and public high schools along with Davidson College. The Get W.O.K.E program consists of a panel discussion, Q & A session, and live demonstrations. The program is directed towards the 14 to 24 age population, but anyone may attend. Encounters involving traffic stops, a loud party/noise complaint, and a call for a suspicious person are typical police interactions with young people being depicted in the demonstrations. “We believe and strive to practice respect and dignity in our interactions with all members of our community. But, that doesn’t mean an encounter with an officer will always go well. Misunderstandings are common in any interaction and police encounters are no different,” said Chief Dunn. The program is an effort to bring knowledge and understanding between police officers and young people when there is an interaction during a call for service situation. The live demonstrations will not only show behaviors effecting a police contact. The reasons for why officers respond the way they do is demonstrated and explained as well. “This is where Carson’s idea really connects to the Knowledge and Empowerment of her Get WOKE program. When you have knowledge, you understand, and you are empowered in any interaction with another, including a police officer,” said Dunn. The event will be held at Davidson Town Hall on Monday, April 22nd starting at 6:00 p.m.
For more information, please contact Carson Pauling at carson.pauling@davidsonday.org.